Slower-than-expected recruitment in trials of two of Wave Life Sciences’ experimental therapies of Huntington’s disease will delay results, and lengthen the gap with a rival drug from Roche and Ionis. Singapore-based Wave said it has now revised the expected readout from two phase 1b/2a trials of its antisense oligonucleotide candidates WVE-120101 and WVE-120102 to the end of 2019, several months later than anticipated. Both WVE-120101 and WVE-120102 are partnered with Takeda and are designed to target messenger RNA (mRNA) coding for huntingtin, a protein that is mutated in Huntington’s disease coded for by the HTT gene. The longer-than-normal mutated form is thought to get cut into smaller pieces that accumulate into toxic clumps in nerve cells and eventually cause them to die. By down-regulating huntingtin production, antisense drugs like Wave’s two candidates and Roche and Ionis’ RG6042 (IONIS-HTTRX) seek to prevent the progressive loss of viable neurons in Huntington’s that causes symptoms of the disease such as involuntary movements, dementia, and behavioural changes. Around two-thirds of people with Huntington’s disease carry either one of two markers – SNP1 and SNP2 – that identify the mutant HTT gene. WVE-120101 is designed to treat people with SNP1 and WVE-120102 aims to treat people with SNP2. Wave insisted that the delay to its PRECISION-HD clinical programme was not due to any safety issues with the drugs, which were placed under a partial clinical hold by the FDA earlier this year. The agency asked for an additional preclinical study to be completed before it would allow the highest dose of the drugs to be given to patients. The delay stems from “slower than anticipated patient enrolment because of the logistics of screening and scheduling across global sites,” according to the company’s statement. Shares in Wave have nevertheless lost almost 20% of their value since it announced the delay. “When we initiated these exciting clinical trials to explore the potential of an allele-selective approach to treating Huntington’s disease, we set aggressive timelines for ourselves in recognition of the enormous need in the global Huntington’s disease community,” said Michael Panzara, Wave’s chief medical officer. “While we are disappointed that enrolment is not as fast as we anticipated, we are pleased that patient and physician interest in the trials remains high,” he added. Ionis and Roche are much farther ahead in development with RG6042, which is in a phase 3 trial that is due to generate results in 2022. RG6042 is intended to target and destroy all forms of mutant HTT, and while this suggests it could be used in a broader spectrum of Huntington’s patients some scientists have suggested this could also make it more likely to have off-target effects that could lead to side effects. 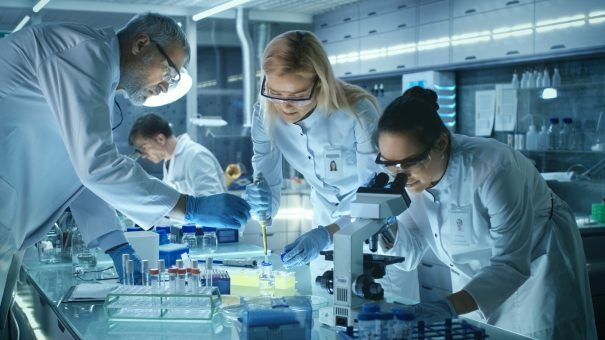 All the antisense candidates could come under pressure from a gene therapy approach to Huntington’s in development with Dutch biotech UniQure, however, which is heading for phase 1/2 trials this year. UniQure’s AMT-130 codes for a micro RNA that blocks the production of huntingtin and – if it works as expected – would be a one-off treatment whereas antisense drugs need to be given chronically to maintain their effects.